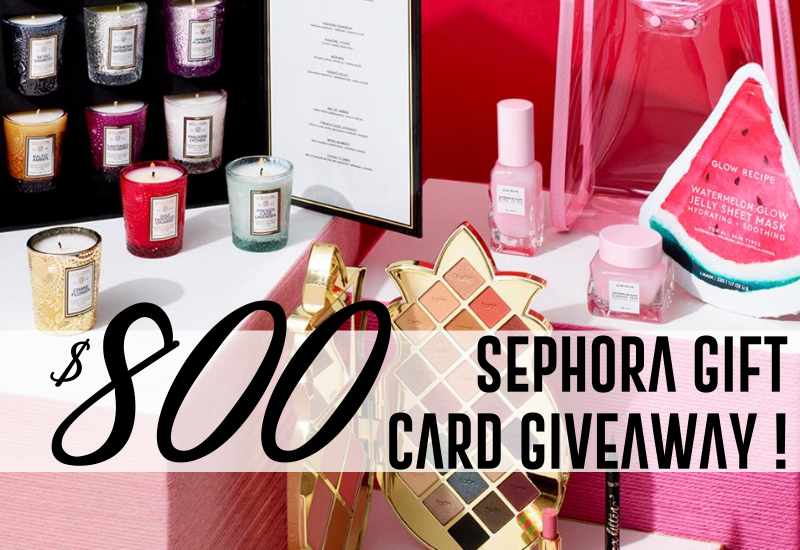 $800 SEPHORA GIFT CARD GIVEAWAY! — LAS VEGAS FASHION AND LIFESTYLE BLOG FILLED WITH BUSINESS AND COLORFUL STYLE TIPS! The holidays are here and I couldn’t be more excited to start to celebrating! To kick off this festive season, let’s start shopping early and get our glam on! I’ve rounded up a few of my fave beauty gift ideas and giving you a chance to win a whopping $800 to spend at Sephora! Grab all your gifts for your gal pals and snag a few must-haves for yourself!